The Oakland, California based instrumental band Mushroom has been blending psychedelia, fusion, post-rock, free jazz, Krautrock and grooving funk into a heady stew for ten years. Tying together their disparate influences through example, Mushroom has played with members of Krautrock pioneers Faust, Daevid Allen of Gong, Bundy K. Brown of Tortoise, and Kevin Ayers of Soft Machine. Shades of 1970s Miles Davis, Herbie Hancock's Mwandishi sextet and Soft Machine all make appearances, but Mushroom invokes contemporaries Sun City Girls, Tortoise and the Chicago Underground just as often. While the precedents for Mushroom's sound are plentiful, the group never limits itself to one genre or style. 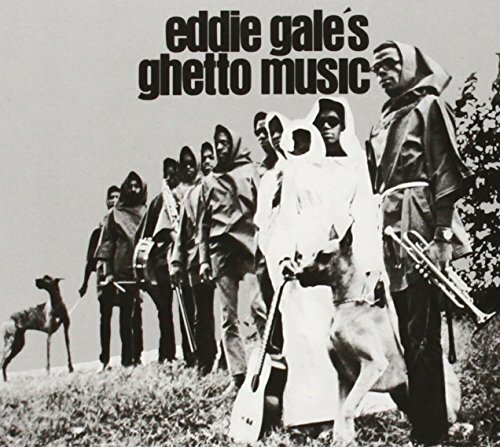 Enter trumpeter Eddie Gale. Featured on seminal 1960s recordings with jazz mavericks like Cecil Taylor, Larry Young and Sun Ra, Gale has been keeping up with the times, blending hip-hop into his aesthetic. His 1968 and 1969 Blue Note records Ghetto Music and Black Rhythm Happening were groundbreaking works, blending gospel, folk-blues guitar and free jazz horns. His collaboration with Mushroom yields a sympathetic meeting of spirits. More ethereal than frenetic, Joint Happening glides along gracefully, blending the subtle improvisational smarts of grooving Krautrock with the crisp production aesthetic of contemporary post-rock. Sounding like Miles Davis jamming with Can at Chicago's Soma recording studio, Eddie Gale adds an atmospheric touch to Mushroom's exploratory flights. Gale's muted, brittle trumpet conjures memories of the Dark Prince while effervescent vibraphone patterns add a cinematic flourish. Electric guitars soar with reptilian menace as analog keyboards cook, bubble and boil while steadily hypnotic bass rumbles in the undertow. Percussion undulates from driving rock intensity and nuanced polyrhythmic drive to subtle accents of color and texture. The long-form tunes swell, contract and transform from spacey introspection and yearning anthems to tribal exhilaration. Psychedelia for a new era, Joint Happening updates a tried and true genre with consistency and focus. 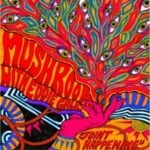 Visit Mushroom and Eddie Gale on the web. Track Listing: Peace; I Don't Need To Fight To Prove I'm Right - I Don't Need To Be Forgiven; I Was Torn Down At The Dance Place - Shaved Head At The Organ; Border Crossing; Selling Oakland By The Pound; Our Love; The Spirit. Personnel: Eddie Gale: trumpet; Patrick O'Hearn Thomas: drums, congas (1); Ned Doherty: bass; Matt Henry Cunitz: Mellotron, Rhodes Electric Piano, Clavinet, piano, Hammond C3, Minimoog, Yamaha Electone, Korg MS-10 synthesizer; Tim Plowman (1,2,4,6): guitar; David Brandt (1, 2, 4, 6): vibraphone, congas, djembe, percussion; Erik Pearson (3, 5, 7): guitar, flute, tenor saxophone; Dave Mihaly (3, 5, 7): marimba, percussion.